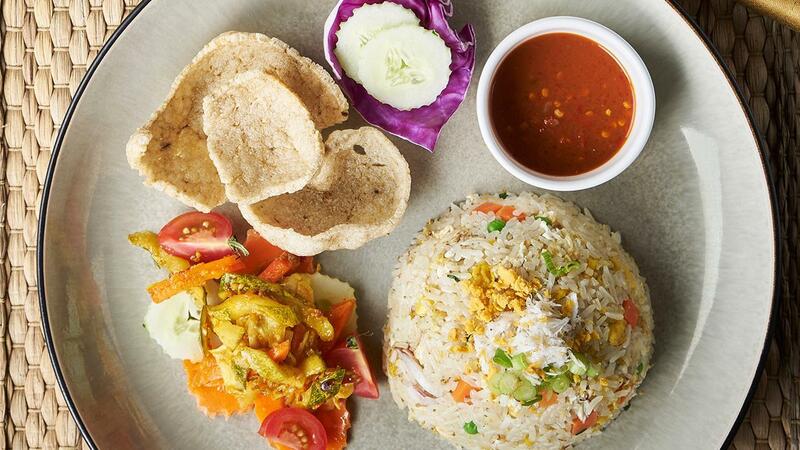 Crab fried rice lovers have a new reason to rejoice. This recipe shows you how easy it is to add an extra oomph of salted egg to your fried rice. You can expect nothing less than a true wok of culinary art. In a wok, heat up oil to sauté chopped shallot, garlic, and chilli padi until aromatic. Add in eggs, stir well till cooked. Add in salted egg powder and cook till it becomes foamy. Add in mixed vegetable and crab meat. Mix in cooked rice. Add in fish sauce, sesame oil, chicken seasoning powder, salt, and white pepper. Perform a taste check before adding in spring onion. Stir well and serve.